The scenario is all-too-familiar. Someone initiates a Google search looking for a business (or type of business) within their general proximity, by adding the phrase ‘Near Me’. All too often this is the first step in becoming a customer, based on little other than the ease of accessibility. In fact, it’s estimated that nearly three-quarters of consumers who identify a business through a local online search become customers if the business falls within a five-mile radius. Offering no actual assurance about the business itself (aside from the fact that it’s nearby) this statistic speaks to the consumer’s priorities, with proximity serving as the primary motivator. As a result, it’s entirely possible that the quality of their products, services or even the customer’s satisfaction may become a secondary consideration. That said, expectations are weighted differently depending on what the product, or service is. If you’re searching for a new place to eat, your exposure is far less than it would be if you were searching for a new vehicle. And yet, the latter represents one of the most common local searches performed online. Why? 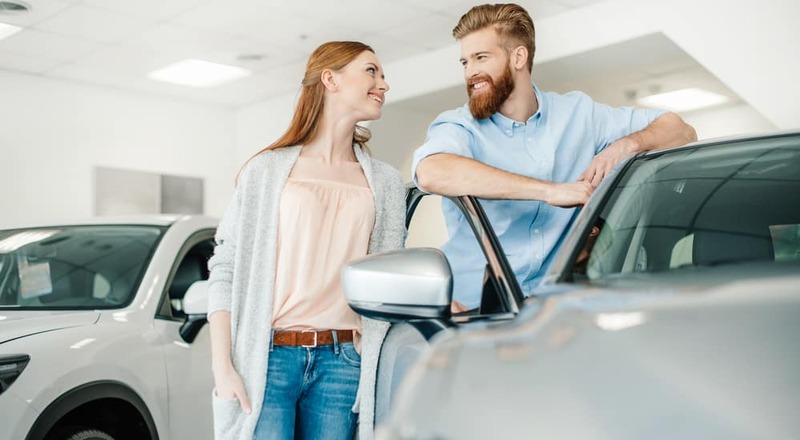 Because purchasing a vehicle from a local dealership can minimize the time, expense and hassle that is commonly associated with car-buying. Plus, let’s be honest, every little bit helps. With that in mind, residents in and around Albany NY can proceed with confidence if their search for ‘Mazda Dealership Near Me’ leads them here, to DePaula Mazda. The DePaula Family of dealerships is proud to be a trusted partner to so many car-buyers in the Albany and Schenectady area. 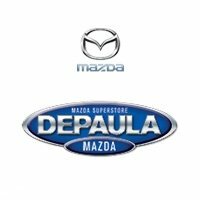 Built upon a foundation of integrity, customer satisfaction, and community support, DePaula Mazda exists as a perfect extension of the automaker that we support. Continually evolving, and offering enduring value, there’s no surprise that so many online searches lead to new and lasting relationships. Judging by the fact that you’re reading this right now, we can only hope that we get the opportunity to prove to you why you need not look elsewhere. Since you’re here, let’s take a minute to talk about the philosophy behind our website. Ultimately, we want to empower our customers to shop on their time, and on their terms. By creating a comprehensive website around that mindset, we hope to eliminate the high-pressure so commonly associated with traditional car buying. Whether you’re in the market for a new or pre-owned vehicle, you can find an online profile for every vehicle present within our physical inventory. Complete with a full breakdown of factory specifications, unique vehicle features, and a full gallery of images, we invite you to make better use of your time by exploring our inventory online. After all, you’ve got better things to do with your time! We hope that this ease of shopping is reinforced by the tools that we make accessible within each vehicle profile. From the availability of a free CarFAX vehicle history report (on used models) to the ability to calculate payments and schedule test drives, we aim to offer a relaxed, and stress-free buying experience. Simplifying the car-buying process isn’t limited to the changing the way that we shop. Regardless of financial status, most customers still require some form of financing in order to purchase a vehicle. This necessity provides less-reputable dealerships with the opportunity to manipulate the process in their own favor. By creating a rushed, high-pressure environment they enable themselves to pass through unfavorable rates, exorbitant fees, and unnecessary add-ons. The resulting sense of distrust does little to build lasting relationships. DePaula Mazda values its relationships. As such, we aim to extend our relaxed, customer-centric approach through every element of our business, including financing. This begins with the ability to apply for financing online (once again, on your time and on your terms) and a promise to look for the best possible financing solution for you. It continues through our dedicated Finance Team, who work tirelessly to ensure that every question is answered and every need is met. Financing of a vehicle establishes the impact of that purchase on your overall budget. With that in mind, no customer should question, or experience doubt as to, the terms of the contract in which they’re entering. DePaula stands by this, and we are proud to support our valued customers to ensure that they buy the perfect Mazda with utmost confidence. Car-buying is nothing more than the very first step of car-owning. A marathon, as opposed to a sprint, ownership of any vehicle, comes with the demands of scheduled maintenance and proper care to ensure its longevity and dependability. Our team of highly-trained, certified Mazda technicians exists for that very reason, honoring our shared commitment to the creation of a truly enjoyable automotive experience. In addition, our Parts and Service Departments make an ideal partner for those looking to customize their Mazda experience. Regardless of your needs, we are here for you. Contact us at your convenience (via phone or online) and allow us to guarantee your continued satisfaction with your Mazda purchase. Those two words say it all. Encompassing our cultural embrace of the joy of driving, Mazda aims to create a more fulfilling experience. With the average American spending two hours behind the wheel each day, it’s important that the journey is given as much focus as the destination. Throughout their sedans, hatchbacks, crossover SUVs and the iconic refresh of the MX-5 Miata, Mazda remains faithful to this ideal. The result is tangible in their KODO (Soul of Motion) design initiative, and the wealth of innovation present in their offerings. At DePaula, we embrace our partnership with such an evocative automaker. By crafting a buying experience around our (new and longtime) Mazda customers, we are able to remain focused on that simple joy of driving and helping others to realize it for themselves.